New! 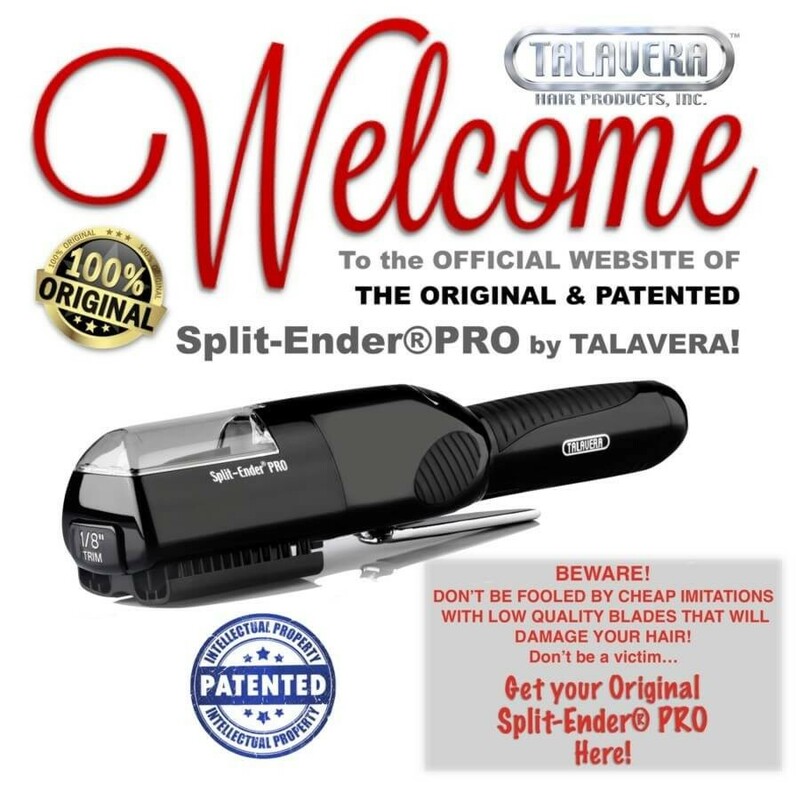 Split-Ender PRO by TALAVERA HAIR PRODUCTS, INC. Specially designed for the Professional Hair Dressers! 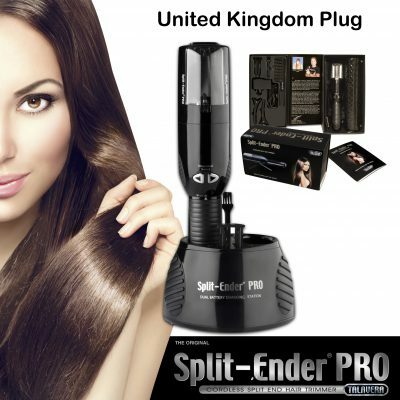 For the easy and fast removal of split ends and damaged hair ends. 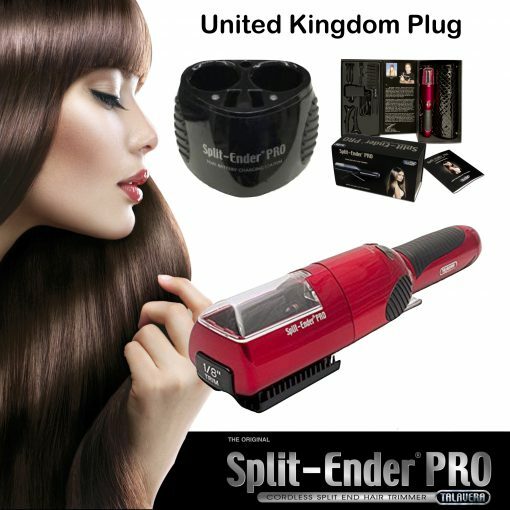 Includes UK Type Battery Charger. Professional Grade Designed! 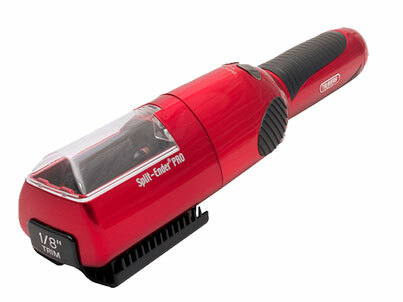 The Split-Ender PRO is Bi-Volt designed to work from 110 to 240 Volts. NOTE: Due to high demand, please allow (3-5 Business Days) to receive an email notification with your Package’s Tracking Number (Transit time of your package will variate depending on your destination and that could be approximately 3-10 Business Days for delivery). Please add our email address info@splitenderpro.com to your contacts to avoid any email notifications to end up in your Spam/Junk Basket. For Domestic Shipping we use a combination of USPS & Fedex Ground & for Most International addresses we use DHL Express. UNCLAIMED Returned Packages are subject to a 15% Restocking Fee no exceptions. Please, keep track of your package in order to avoid your item to be return to us. 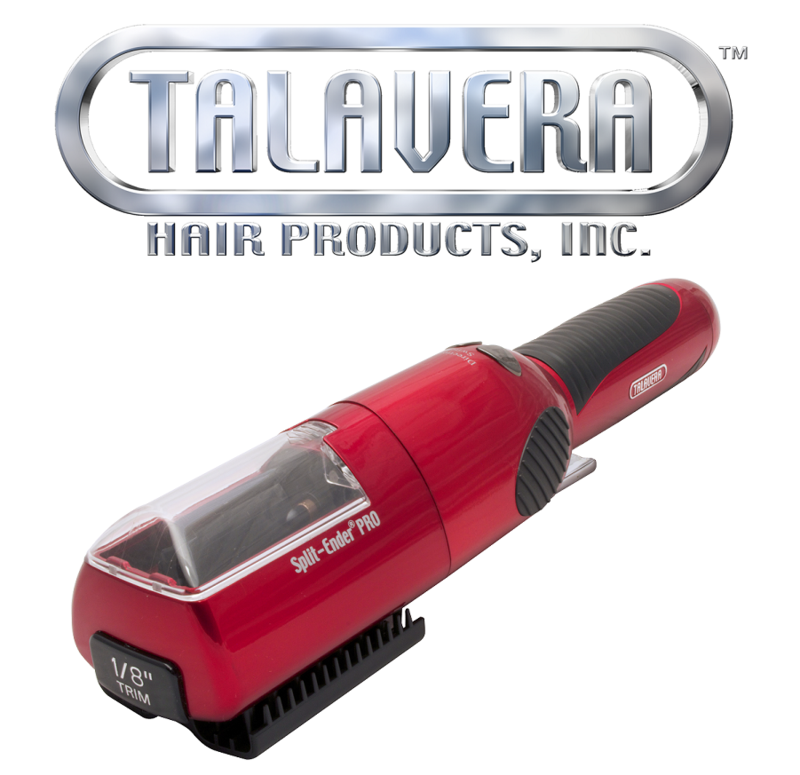 New Surgy-Trim™ System Technology safely trims the ends of the hair where damaged hair ends and split ends starts while preserving the beautiful, long, healthy hair, ensuring that all the ends (split, damaged or dry) are trimmed and healthy. FREE Charging Station (Charging Stations are Only Available in Black Color) This Offer is for a Limited Time Only. 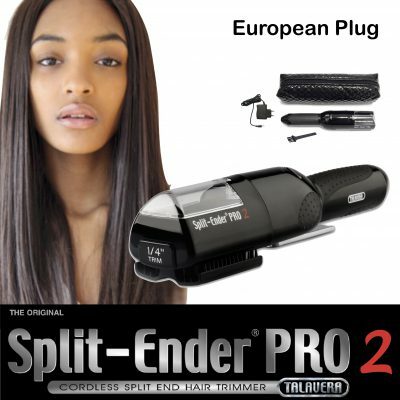 The Split-Ender unique patented “Hair Plate” is Specially Designed to guide the “Hair Strands” to uniformly flow in and out throughout the “Strand Guards” and safely guiding each and every hair in a straight motion, forcing them to stand straight up when reaching the “Center of the Hair Plate” while delivering only the ends into the blades to snip the tip by approximately 1/8″ to 1/4″ (depending of the Spacer type that you select) trimming the ends where burned, dry, damaged hair ends and split ends are more likely to be found. All this! While preserving and leaving the long, beautiful and healthy hair strands untouched. 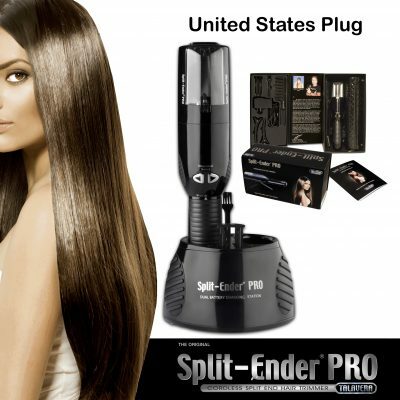 And that my friends, is how the Split-Ender PRO works!